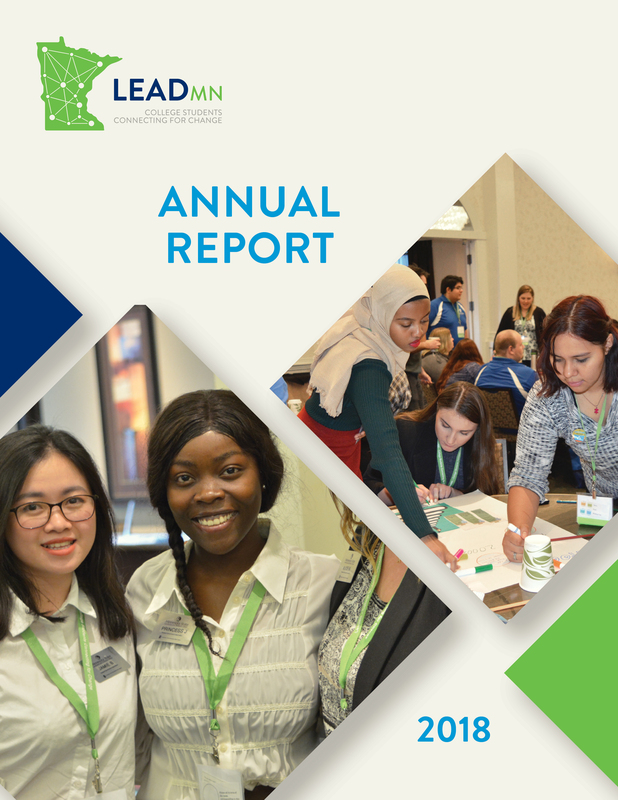 2018 Annual Report: Students at LeadMN are hungry for change. Throughout 2018, students told us they are hungry for change. Students were empowered to have their voice heard - at the capitol and the ballot box. Students focused on three campaigns this year to make college more affordable, promote civic engagement and raise awareness of equity, diversity and inclusion. Hosted the Democracy in Action Summit to develop campus action plans around the mid-term election. Showed support for DACA-eligible students by writing letters to members of Congress. Launched two new scholarships to make college more affordable! Covered on the television and in print media across the state and nation.